In 1984 Ferrari brought out a rather special car in order to comply with Group B regulations - the Ferrari 288 GTO. And, according to Ferrari, it started "Supercar Syndrome"
Group B was a classification for unhinged rally cars. If you're reading this then you already know that so I won't bother with further explanation. But you may not know that the Group B regulations also covered sports cars. Group B came into affect in 1983, and in 1984 Ferrari showed the GTO (although informally the car is known as the 288 GTO in order to differentiate it from the 250 GTO) at the 1984 Geneva Motor Show. Ferrari had plans to build 200 units in order to satisfy Group B homologation - but then Group B was cancelled. However the fervour caused in Geneva was such that Ferrari opted to build all 200 cars. In fact between 1984 and 1986 the company built and sold 272 examples of the GTO. The 288 GTO cost £73,000 and was styled by Pininfarina, albeit based on the 308 bodyshape. The engine was a 2.8 litre, twin turbo, 90 degree, V8 that produced 400bhp. Bodypanels were composite materials or resin mouldings and the mid-mounted engine was mounted longitudinally in the chassis. The body was shorter than a 308 but the wheelbase longer - after all the 288 GTO was designed for racing. The GTO weighed 1220kg and had a top speed of 190mph. 0-60mph could be achieved in 4.9 seconds. The forward end of the engine was so close to the cabin bulkhead, in order to optimise weight distribution, that a service hatch was provided in the bulkhead for maintenance. This was the first longitudinally mounted V8 engine fitted in a Ferrari production road car, and also the first to be fitted with twin turbochargers. When it was on sale Ferrari told prospective customers, "You can have it in any colour you like as long as you like red!" 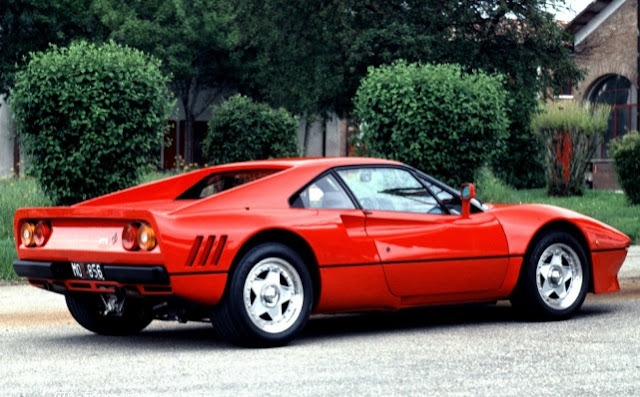 Today, Ferrari have this to say about the 288 GTO, "The GTO was the real starting point for the "Supercar Syndrome", showing that there was a market for a low volume production, extreme performance sports car, at almost any cost! Before people had even taken delivery of their GTO the contract had been sold on, sometimes more than once, and with each change of hands came a healthy profit for the vendor." But the 288 story didn't end there. 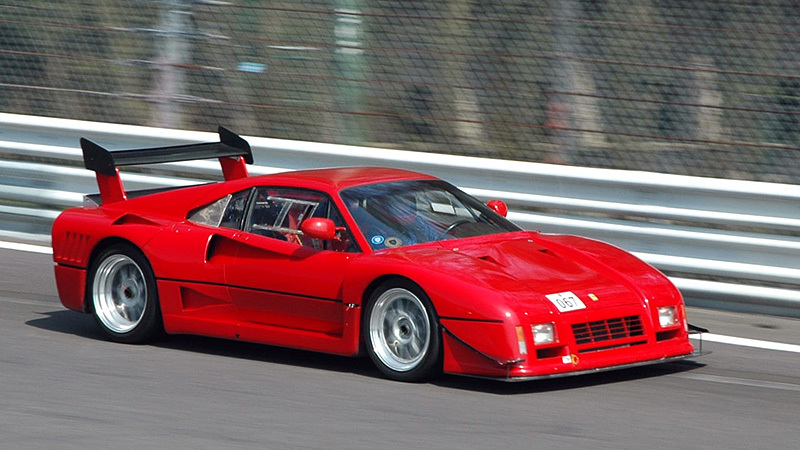 Between 1985 and 1986 Ferrari produced 5 very special versions, called the GTO Evoluzione. Power was uprated to 650bhp, weight was reduced to 940kg and the theoretical top speed was 225mph. The Evoluzione, as you can see in the image below, was a direct influence on the much more famous F40, which followed in 1987. All five Evoluziones are still believed to be on the road today. Ferrari themselves own one and keep it on display at the engine plant in Maranello.